Deep thought provoking questions on Yoda wisdom helps us explore the open mysteries of life from the viewpoint of a mythical Zen or Jedi master. Combining a deep understanding of self and life, the wisdom of Yoda can guide us with unique and unconventional insight. Yoda and other Zen Masters of his caliber are experts at manipulating the mind. More than harnessing the tremendous power of the mind, however, they realize the benefits of stepping out-of-the-mind. This is the true foundation of their legendary powers. Without a measure of freedom from the mind - we become enslaved to the very thing that would benefit us. Zen masters, Yoda included, know this. This knowledge shapes the very foundation and motivation for their practice and their unique way of life. By observing the mind, an objective relationship with the mind is born. This new found perspective on the mind brings surprising freedom, joy and even wisdom to life. We are suddenly able to benefit ourselves and others in ways previously impossible. Gratitude takes root in our life. "Do or do not. There is no try." is a famous bit of Yoda Wisdom offered in the star wars epic 'The Empire Strikes Back'. What is Yoda saying with this? What can he possibly mean by telling us that there is no such thing as trying? Why is Yoda unafraid when faced with enemies much larger and apparently more powerful than himself (well, besides the fact that it is only a movie)? Where does he get his confidence from? Can we tap into such a source of confidenc as well? Why does a wise master such as Yoda put his apprentice through such a gruelling physical regimen? Is there a connection between physical training and spiritual development? 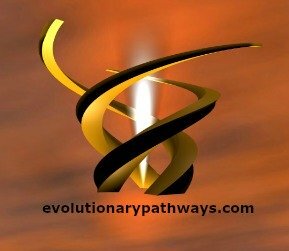 What physical elements does my own personal development plan include? Is it only intellectual or ideological? How much action vs. intention is built into my own personal growth strategy or path? Where does wisdom come from? Yoda constantly refers to 'the force' when instructing would-be Jedi Knights about the ways of life. Is there such a thing as 'the force', in real life? Is there a way to tap into this force and share in it's wisdom? How can we do it? What is the essence of Yoda's power and where does it come from? Does it come from his mind? His body? Or is it his attitude that makes all the difference? Would Yoda be considered a master of stepping out-of-the-mind? Could this be a partial explanation to his extraordinary qualities and power? 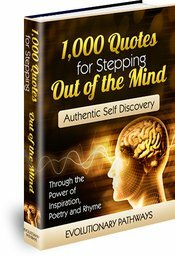 Is there a connection between physical prowess and stepping out-of-the-mind? What is it? Is Yoda wisdom the same as Zen wisdom? Do real Zen Masters still exist? Where can I find them?